Small, charming and owner-run Hotel Los Castaños is ideal for a getaway in the mountains. Surrounded by stunning scenery with lots of interesting day trips and White Villages to explore but only about 50 minutes from the Mediterranean coast and Marbella. Situated in the time-warp small, slow-life town of Cartajima, just 17 km from Ronda, the hotel is a haven of peace with lots of lovely details and a calming influence from the plant-filled front door to the beautiful roof terrace with rolling, never-ending mountain views. Resident owner Di cooks up a great and varied menu inspired by her travels and the wine (and gin) list is is ample too. Everything is spot on, eco-friendly, peaceful, charmingly- decorated, great hosts, gorgeous rooms and lots of lovely details. With only six rooms personal attention is guaranteed and brings many visitors back again. Once found, not forgotten. It is impossible not to relax and take things more slowly as you breathe in the mountain air, absorb the slow pace of life, eat well and sleep in peace. To discover more about Hotel Los Castaños see their website. 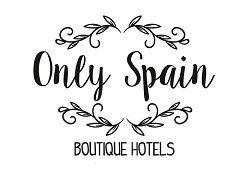 Have you visited a great hotel in or around Malaga that you’d like to recommend?